Seattle, Washington – The National University System announced today that its affiliate, City University of Seattle (CityU), a nonprofit leader in serving adult learners and providing an array of global study programs, has appointed Randy Frisch as President, effective Oct. 1. President Frisch has extensive experience as a leader in the private and nonprofit sectors, most recently served as Vice Chancellor of Business and Administration and General Counsel for the National University System, a network of private, nonprofit educational programs and institutions, which serve more than 36,000 students. President Frisch, who was chosen following an extensive national search, will focus on strengthening collaborations with the Seattle business community, refining the University’s global study opportunities, and furthering CityU’s mission of changing lives for the better by offering access to specialized, high-quality, and relevant education to lifelong learners. The decision included the participation and input of the University community of faculty, students, and staff. President Frisch, who had been serving as Interim President in recent months and has family ties to the Pacific Northwest, joins CityU after serving as Vice Chancellor for NUS, which is based in San Diego, from 2013-2016. In that capacity, he oversaw many transformational initiatives and was responsible for numerous community partnerships and collaborations. He also was instrumental in laying the foundations for the national expansion led by National University of innovative programs that support the education and nonprofit sectors. CityU is expanding two of these regionally, including: Sanford Harmony, an innovative social emotional program, and Sanford Inspire, which provides a resource of inspiring teaching methodologies. CityU has over 20 locations in the Northwest and worldwide. Aside from its flagship campus and headquarters in Seattle, CityU offers programs in Canada at campuses in Vancouver, Victoria, Calgary, and Edmonton. Other CityU programs are offered in China, the Czech Republic, Mexico, Slovakia, Switzerland, and Vietnam. In addition to its international focus, the University has achieved distinction for its quality online programs. Accredited through the doctoral level, CityU is ranked by the U.S. News & World Report among the top 30 for online bachelor’s degree programs, and among the top 20 online programs for veterans in the U.S. Among its many offerings are doctoral programs in business administration and education in leadership. “We are very pleased to welcome President Frisch to City University of Seattle, where his ongoing dedication to student success, innovation, and collaborative leadership over the years has made our university even stronger,” said CityU Provost, Dr. Kurt Kirstein. Before joining the National University System, President Frisch served as President and Publisher of the San Diego Business Journal; as Vice President, Operations & Information Technology, and Chief Financial Officer for the The San Diego-Union Tribune; and as the Chief Operating Officer of the The Salt Lake Tribune. President Frisch, who is a member of the California, Nevada, and Idaho bars, earned his law degree from the Thomas Jefferson School of Law in San Diego, and established his own practice with a focus on labor and employment law. He earned a Master of Business Administration from Washington State University and a bachelor’s degree from Lewis-Clark State College. 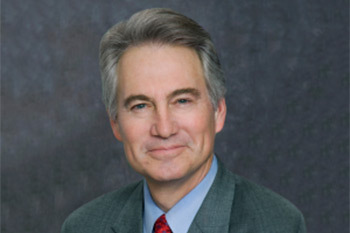 Among his many community-focused activities, President Frisch has also served as Chairman and President of San Diego Habitat for Humanity, and has served on the Board of Directors of numerous organizations, including San Diego-Imperial County American Red Cross, the Neighborhood House, United Way of San Diego, YMCA of San Diego County, and the ESET Foundation. He has also served on the Finance and Public Policy Committees for the San Diego Regional Chamber of Commerce, and is a member of Rotary International, Club 33. President Frisch is married to Suzanne Nelson, who is a graduate of Seattle University’s School of Nursing. They have been married for 28 years, and have four children: Abigail, Emily, Anna, and Rob. The National University System, a network of accredited nonprofit education institutions serving higher education and K-12 students includes: National University, John F. Kennedy University, City University of Seattle, WestMed College, National University Virtual High School, and the National University Academy. Established in 2001 to meet the emerging challenges and demands of education in the 21st Century, the network’s complementary universities offer pathways for students to attain professional and terminal degrees through quality and innovative programs delivered in a format that is flexible to the needs of adult learners. City University of Seattle is a private nonprofit university accredited at the undergraduate, graduate, and doctoral levels. CityU is dedicated to serving the working adult and transfer student population, and is ranked by U.S. News & World Report among the top 30 for online bachelor’s degree programs, and among the top 20 online programs for veterans in the U.S. It offers over 60 flexible online, onsite, and performance-based programs. CityU has its headquarters and main campus in Seattle, and has sites throughout North America, Asia, and Europe.